The southern areas controlled by the US backed -Saudi led coalition are witnessing chaos, insecurity and the spread of the Takfiri groups with expansion of their activity. Besides the increasing of assassinations, bombings and clashes between elements fighting for influence among them. Unknown gunmen assassinated a military commander ,today evening ,in the southern city of Aden.Local sources said that unknown gunmen on a Helox vehicle fired one of the bullets at the commander of the air force in the former province of Al-Muhara, Col. Qassim Thabet Al-Hajili, while passing through a neighborhood in Khor Maksar. In addition, citizens of a paid fighter group were killed after being kidnapped from a street in the market in the city of Taiz. According to local sources in Taiz, the armed elements were wearing masks ,believed to belong to Al Qaeda and Daesh, kidnapped one of the paid fighter recruited who belong to the so-called sector I in the 22nd Brigade Makiya, named “Mustafa Ahmed Said” from al-Sameel market today noon . 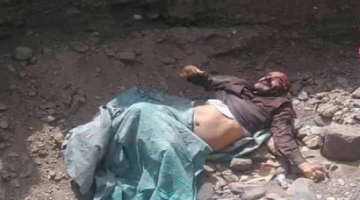 Futhermore, citizens found the body of a citizen killed in mysterious circumstances with traces of torture in the Rabwa district of Radfan district in Dhala province.Witnesses said that they found the body of the dead man this afternoon, which is located in the area of ​​Rabwa line between the districts of Radfan and Yafa, pointing out that they could not identify the body so far. In a new security achievement for the Yemeni security services, the security men of Sana’a and Al-Dhala , controlled by the Yemeni army forces, succeeded on Tuesday in arresting 23 paid fighters , belonging to the coalition forces ,while trying to head to Marib to join the camps of the coalition. A security source in Sana’a province confirmed the arrest of three paid fighters, one of them in the Saffan district, after the investigations proved that he was monitoring for the coalition, while two paid fighters were arrested in the Directorate of the Russian Federation while trying to go to Marib to join the paid fighter camps. In Dhala, the security services of the Department of Demet arrested twenty 20 conscripts of the coalition, during the past two weeks, while traveling from and to camps of the coalition. The security of the province said that all of them have military cards issued by the camps of the paid fighters. This comes after the security forces seized in Hodeidah province a dangerous cell recruited by the coalition to support the forces of the coalition from inside the city of Hodeidah and destabilize security and stability. Aden city, which was occupied by UK but now under the control of UAE, and the rest of the southern cities witness an insecurity situation that increased the assassinations of Imams of mosques and security and military leadershipsThe province of Aden also witnesses a security fiasco that escalated with killings, looting issues , in addition to others that never happened before. The UAE took control of Aden under the pretext of confronting the so –called “Houthis” , part of the Yemeni army forces and supported the establishment and formation of armed elements there. A few months ago, Emirati-backed forces were fighting and killing Saudi-backed forces in Aden. The south is moving towards outright autonomy The entrenchment of a war economy is another significant obstacle to peace.